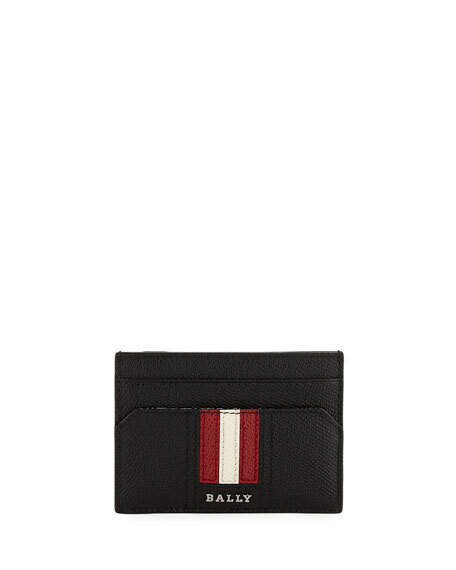 Bally pebbled calfskin card case. 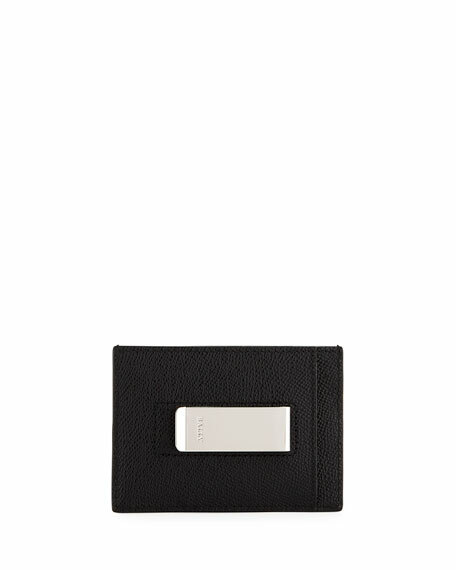 Three card slots; silvertone money clip at back. For in-store inquiries, use sku #2616771.